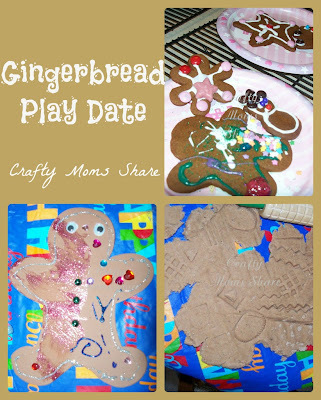 Today we had a gingerbread play date with one of Hazel's best friends and his mother. 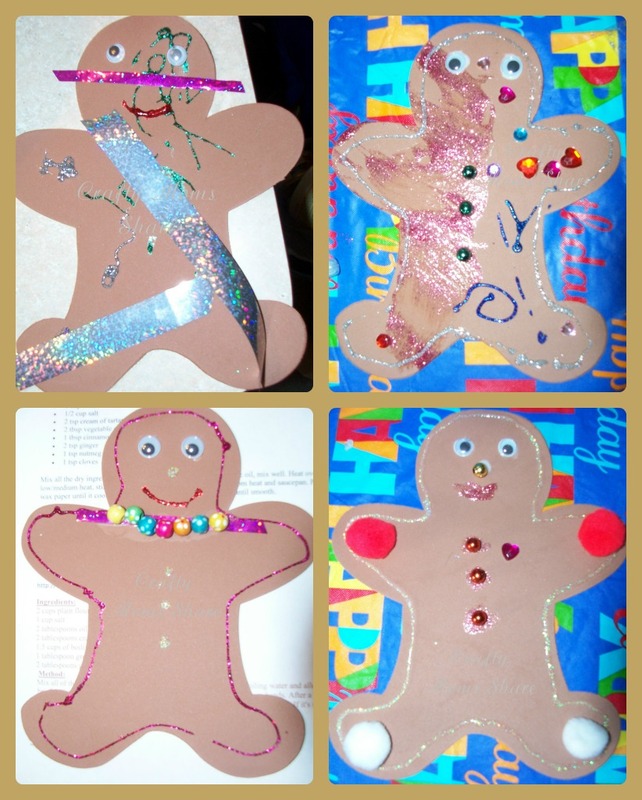 To get started we had foam gingerbread men to decorate. I had bought them ages ago at the Dollar Tree I think. 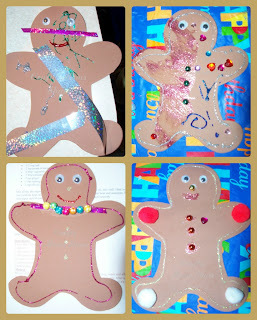 We had glitter glue, stickers, ribbon, googly eyes, beads and pom poms out to decorate them. Hazel and I also read Gingerbread Baby by Jan Brett (December's author of the month for the Virtual Book Club for Kids). Our friends were running late, so we did not have time to read it as a group, but Hazel and I enjoyed the story. We had made some gingerbread cookie dough. I cheated and used a Betty Crocker mix I bought on sale post-Christmas. I had planned on making the dough from scratch, but didn't quite do it and then read my favorite recipe needed at least four hours in the refrigerator before rolling and cutting, and since they were due in just over an hour, I decided that wasn't going to happen. I had bought a white cookie icing for each of them and lots of candy and sprinkles to decorate. 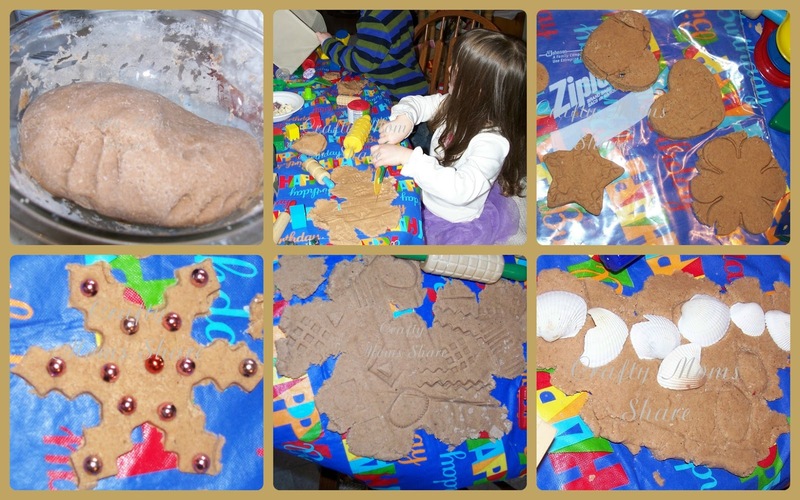 We also made some gingerbread playdough. I combined the recipes from The Imagination Tree and Two Big and Two Little. I used all the spices in Two Big and Two Little's recipe, but the amounts and mix style of The Imagination Tree's recipe. We did not have a lot of time to play with it together, but sent some home with her friend and Hazel and one of her high school babysitters played with it more this afternoon. These pictures are a combination of both. I know we were a little late for gingerbread, but we had fun anyway! 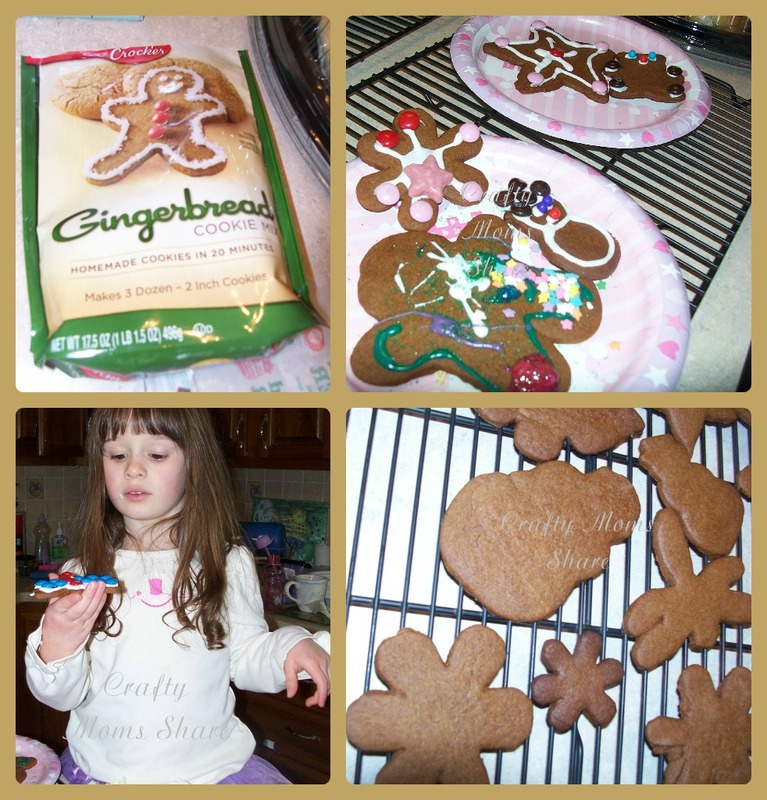 Looks like a fun day, thanks for sharing on Super Sweet Saturday.